2) The lease payments are not enough to save the family farm. Ontario has a cheap food policy that causes the farm industry to lurch from one income crisis to another. To think that a measly $6-8 000 annual payment will solve a farms profitability problem is just plain wrong. It’s a drop in the bucket. I spoke to a hog farmer who told me that even if the 2 wind turbines proposed for his farm were up and running right now it would not make a difference to the viability of his operation. 3) It will encourage absentee land ownership. A positive to agriculture in this area is that generally farmers own the land they’re farming. Land ownership gives farmers the security to invest in improvements such as tile drains, fences, equipment and buildings. When a farm owner retires arrangements are usually made to sell or transfer the land to someone interested in continuing to invest in the improvement of the farm. With wind companies now optioning land in the area some land owners are now choosing to hold onto farmland for the annual lease payment rather than sell. If this trend holds more farmland could be owned in absentia by non-farmers leading to a decline in productivity over the long term. 4) Potential health affects may lead to less people willing to farm. 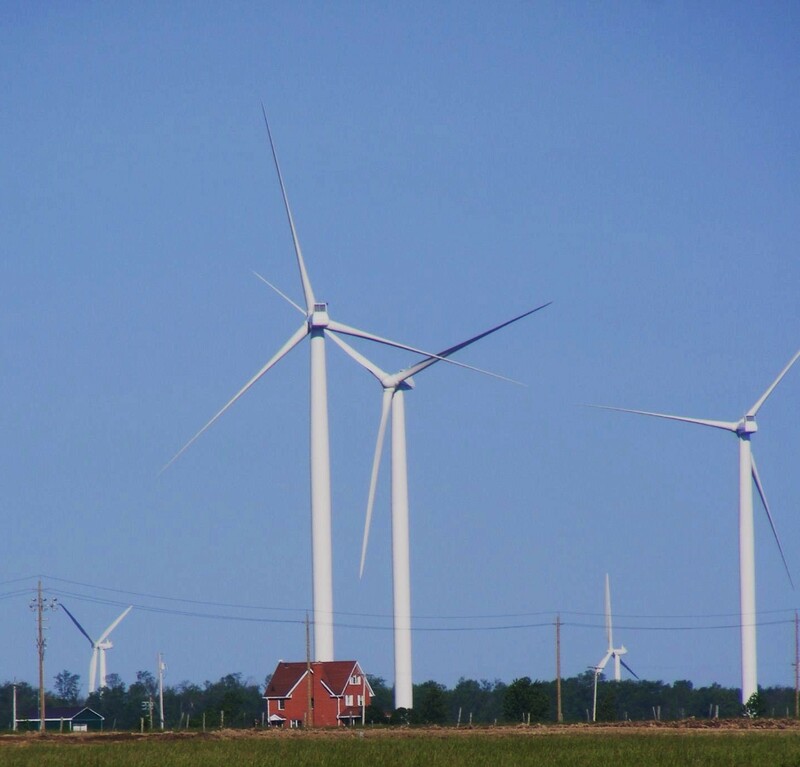 As more wind farms are built, more stories are emerging of farmers having to leave their homes because of health issues attributed to wind turbines. In Ontario there are already lawsuits filed against wind energy companies by farmers claiming that wind turbines have severely affected the health of their livestock. It always amazes me that despite all the challenges facing agriculture in Ontario there are still tens of thousands of skilled people in Ontario who still want to farm. This could be the proverbial straw that broke the camels back. Many farmers are willing to put up with a few years of lean times but they may not stand for a lifetime of ill health. Ontario risks permanently losing a good chunk of a highly skilled work force if the government continues to allow wind farms to be built without determining proper wind turbine setbacks based on a epidemiological study. 5) Finally the government is focusing on wind power generation, while the farmers who just want to grow food are forgotten. It’s ironic that the Ontario government is willing to give guaranteed above market prices for 20 years to wind companies, yet there is no money to fund a Risk Management Program that works. Farmers need government to support Ontario grown and processed food, and not give billions of taxpayer subsides to foreign corporations. Posted on February 10, 2010, in Green Energy Act, Health, London Free Press, Ministry of Environment, Strathroy Age Dispatch, Today's Farmer. Bookmark the permalink. Leave a comment.